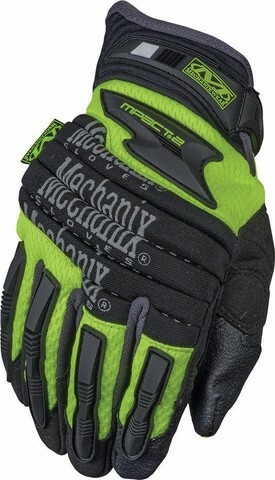 Flexible accordion knuckle with high-density EVA foam padding and hi-viz reflective print. Thermal Plastic Rubber (TPR) finger guards and metacarpal protection prevent impact injuries. Reinforcement panel provides added durability. Armortex® fingertips provide durable gripping power. Anatomically designed palm padding with high density EVA foam. Extended Neoprene cuff provides added protection. 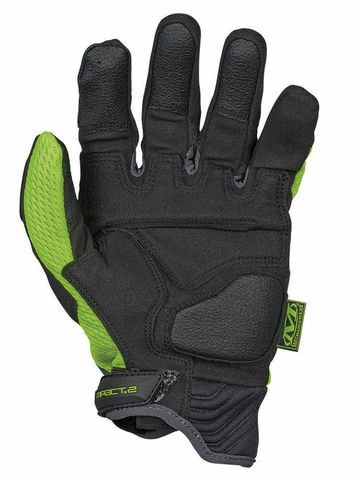 High-visibility TrekDry® material helps keep hands cool and comfortable. 4mm XRD® impact palm pad reduces shock and vibration.